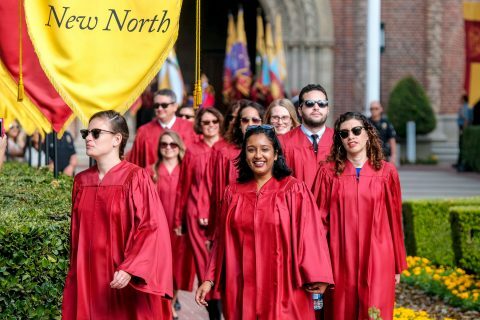 Interim President Wanda M. Austin reminds incoming freshmen and transfer students that they are the “best of the best,” and thanks parents, too. Families and friends help students get settled before classes begin next week; it’s a day for shuttling boxes, snapping selfies and saying bittersweet goodbyes. 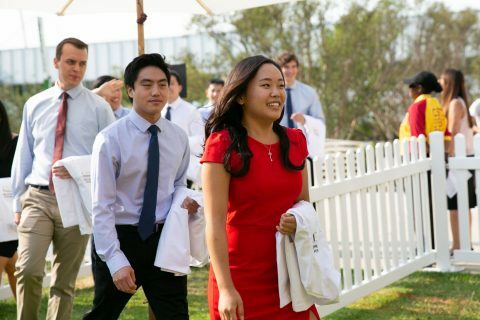 The white coat is a symbol of the oath students take as a doctor, Dean Laura Mosqueda tells Trojans at Keck School of Medicine of USC rite of passage.